The Richland-Chambers Reservoir is an hour southeast of Dallas. Since it’s relatively new, you’ll be able to enjoy the uncrowded 41,000 acres of water and 330 miles of shoreline with comparatively little traffic—for now anyway. It’s becoming more and more popular, so don’t wait too long. With the reservoir’s network of inlets and branches, there are plenty of “nooks and crannies” where you can find a fishing spot all to yourself and reel in Coppernose bluegill, Florida bass, channel catfish and blue catfish. In those nook and crannies, you’ll also find the glass-smooth water that is a water skier’s delight. 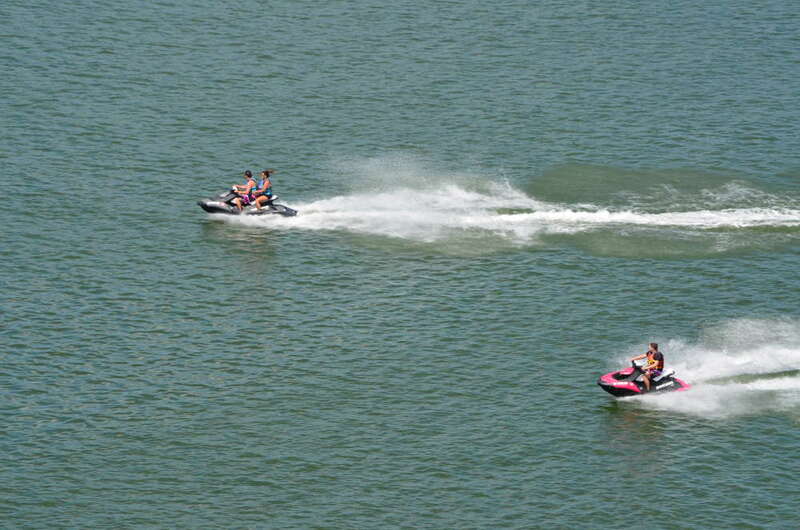 There are a number of convenient boat ramps and, for a special treat, an upscale restaurant and bar right on the lake.